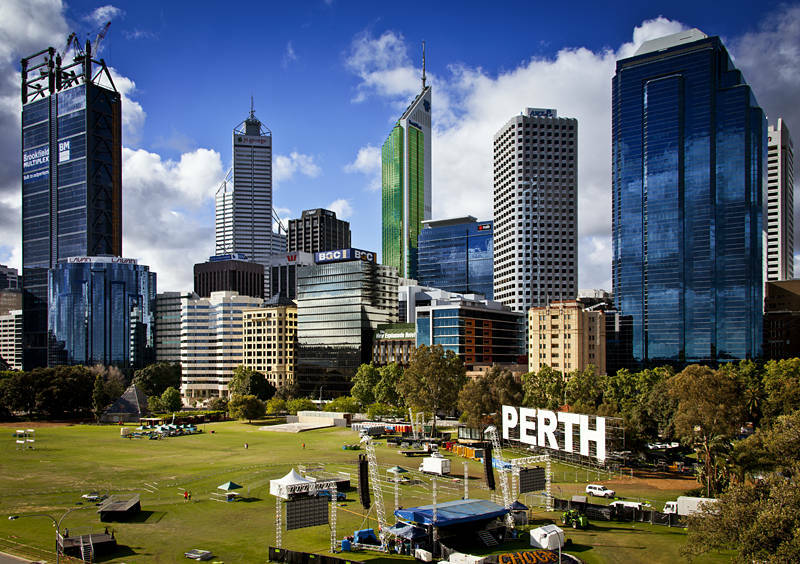 This image of Perth in Western Australia shows the preparations for the 2011 CHOGM(Commonwealth Heads of Government Meeting) and a giant public barbecue hosted by the Queen. Quelle architecture et quelle lumière, une photo sublime, j’aime beaucoup ! A nice bunch of disparate buildings. Was there water behind you? I found a similar view in Vancouver looking from the water inland with a little bit of grass in between. Yes there was water behind me. This is the view of the same buildings from the other side of Swan River.